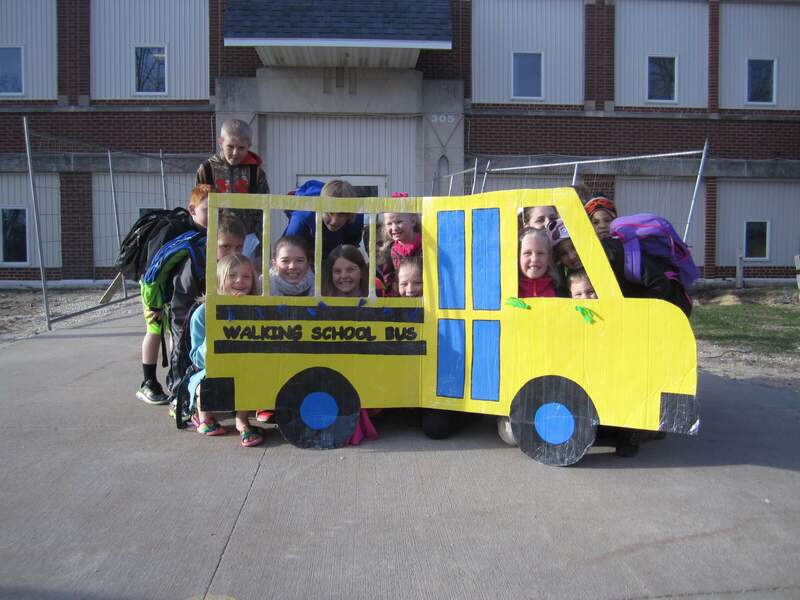 With the wrap-up of the school year comes the wrap-up of our Walking School Buses. We’ve had another successful WSB season in Northeast Iowa! 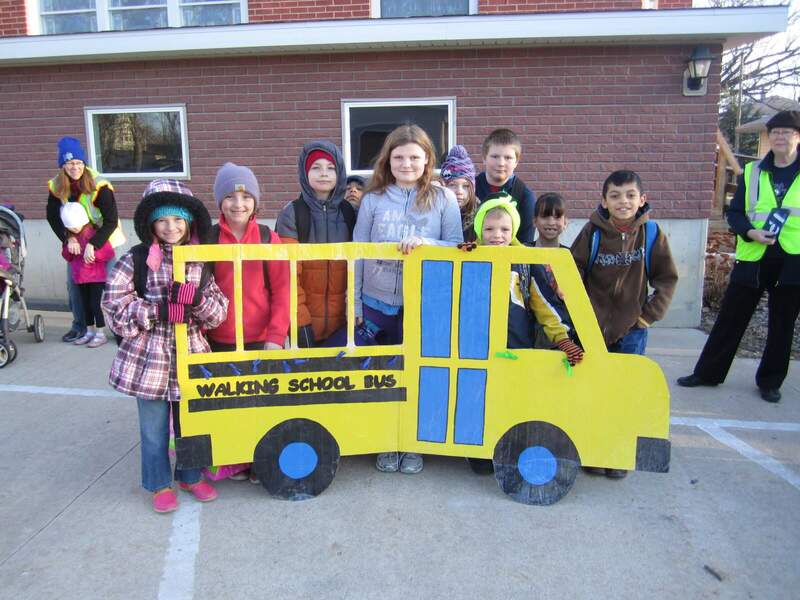 We had 13 communities try out Walking School Buses this year, more than we’ve ever had! Pretty amazing! It’s definitely been a year of learning for us, too. 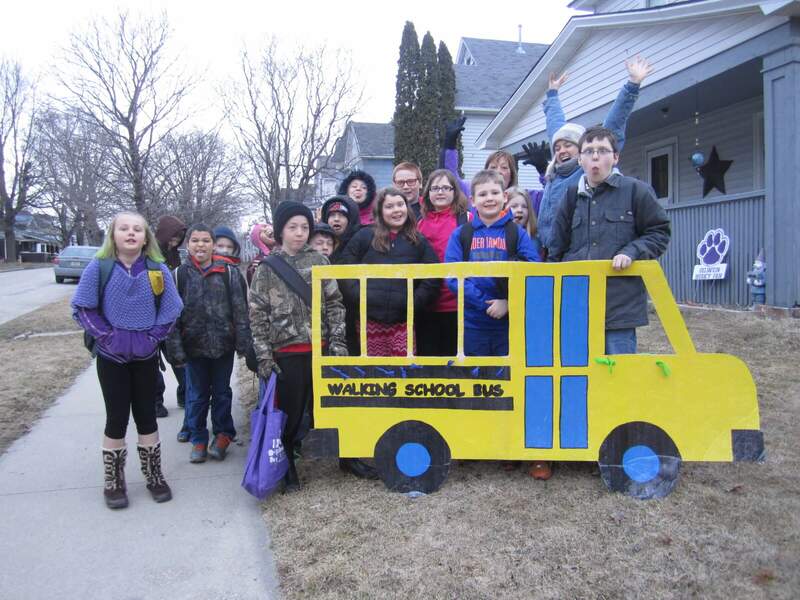 Some of the Walking School Bus attempts have fizzled out, showing us that some communities just aren’t ready yet…and that is okay. But others have EXPLODED with energy and excitement, which is so encouraging! In my eyes, it’s really not fair to compare Walking School Bus numbers from year to year (# of routes, # of students, etc.) 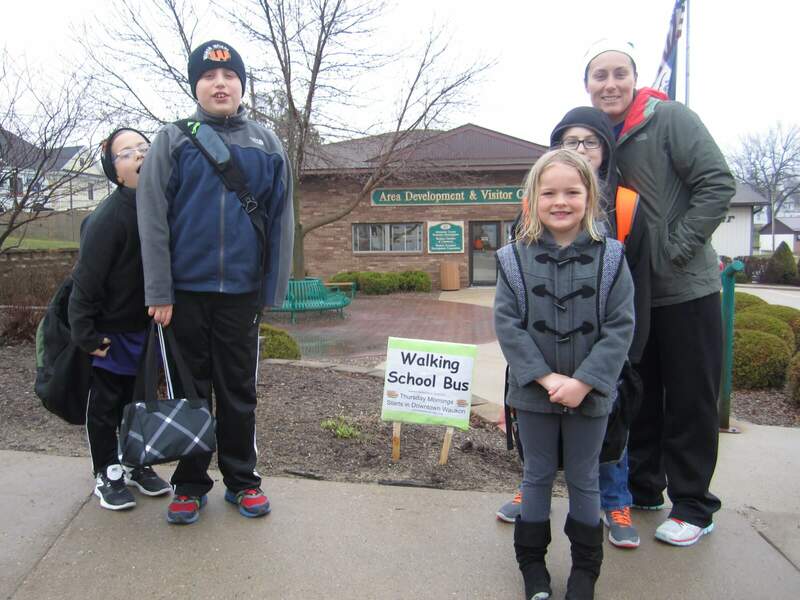 because there are so many variables- families move, volunteer availability changes, students “age” out, even safety improvements to walking routes can end the need for a Walking School Bus. 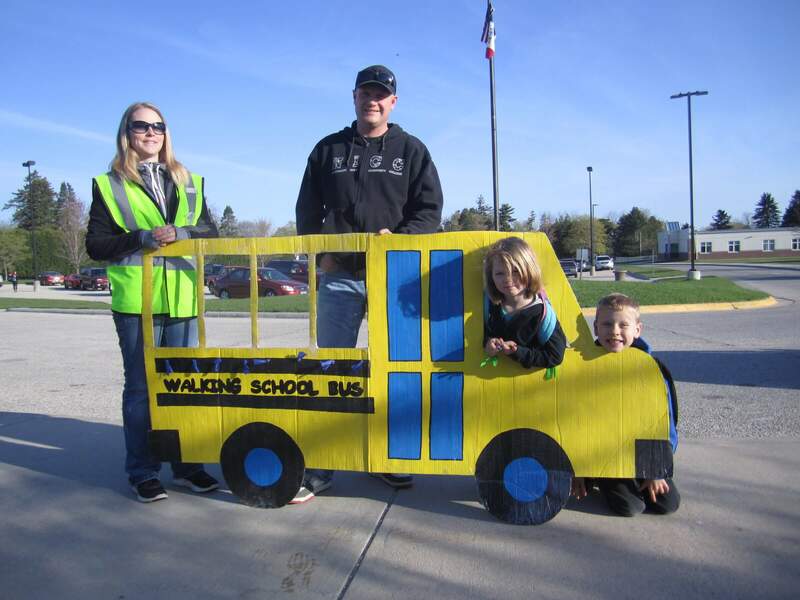 Instead, what’s more important is knowing that the Walking School Bus concept is alive and thriving in Northeast Iowa, with new communities and families jumping on board each year. 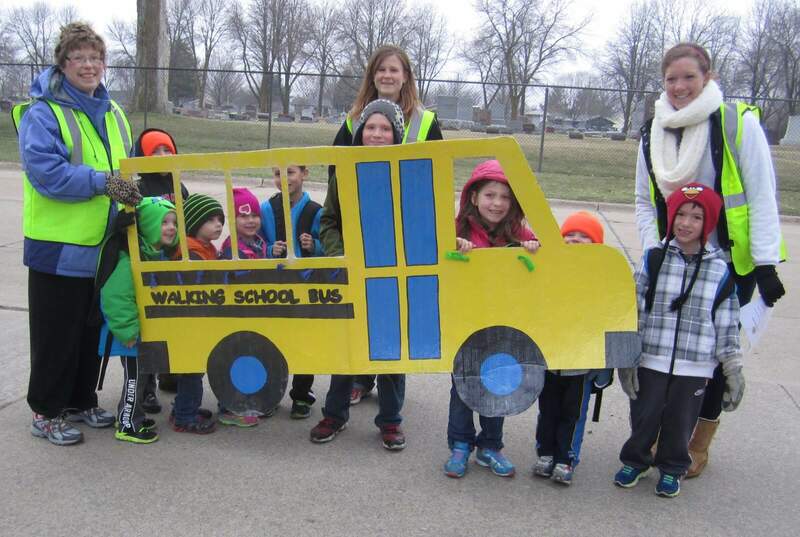 Walking School Buses are a great tool for getting communities to start thinking more deeply about safer community routes and daily physical activity. They are also a ton of fun! 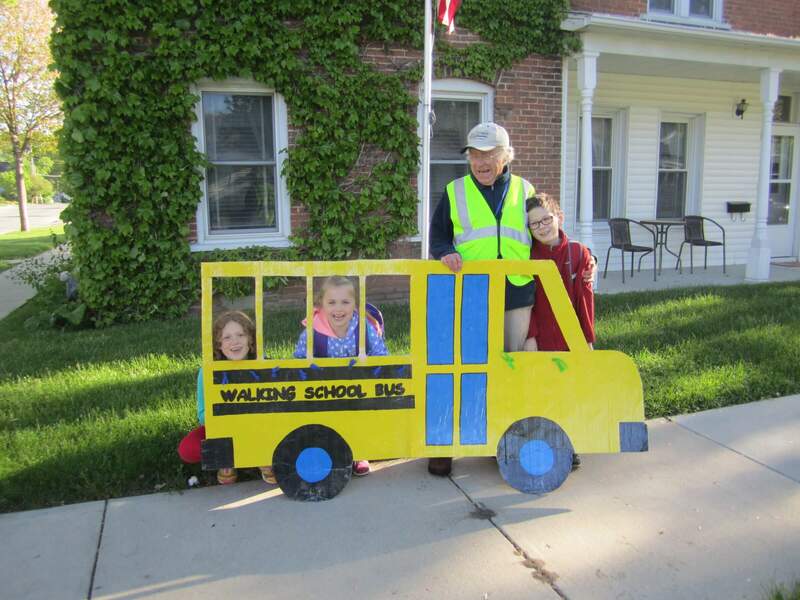 A VERY special “THANK YOU” to all of our fearless Walking School Bus volunteers out there because, whether you know it or not, you are the leaders of this change in your communities! 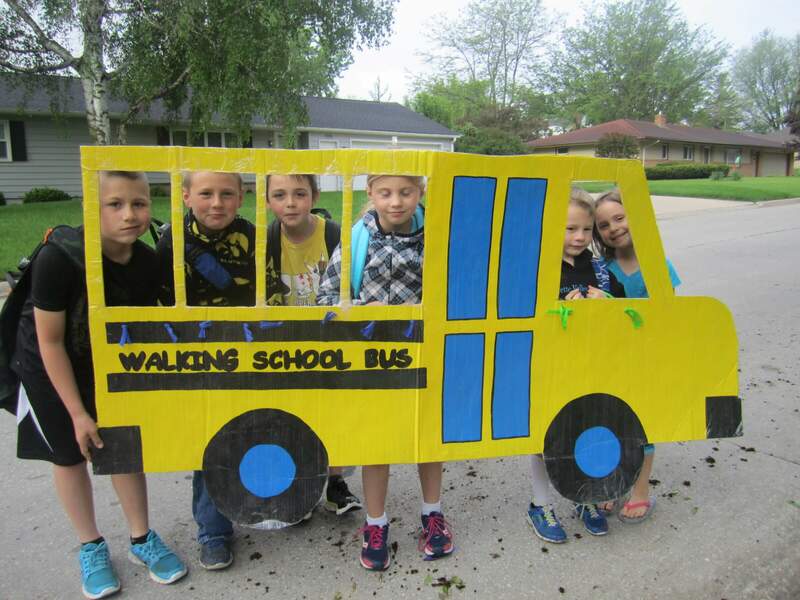 Enjoy your summer off, Walking School Bus WALK STARS! You’ve earned it! See you again this fall when our Walking School Buses kick back into gear! 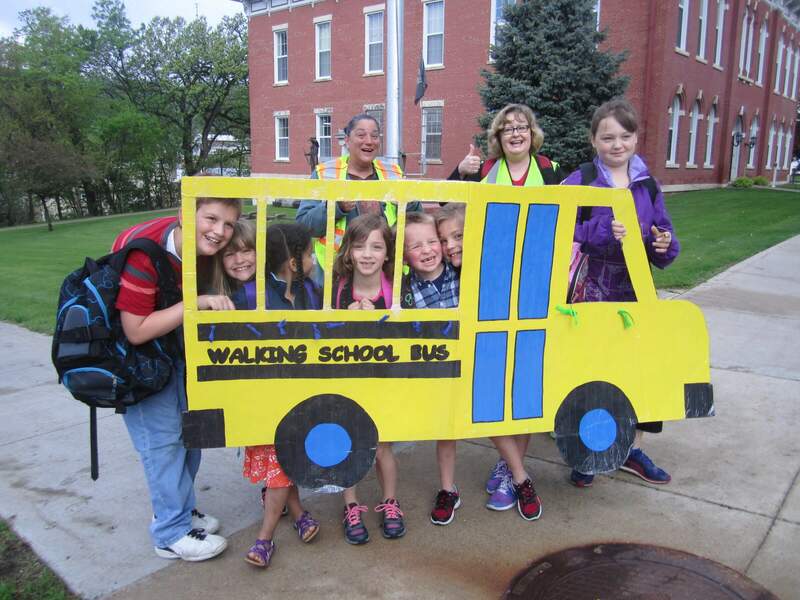 This entry was posted in Active Living, Allamakee CSD, Central CSD, Decorah CSD, New Hampton CSD, North Fayette Valley CSD, Oelwein CSD, Postville CSD, Riceville CSD, St. Joseph School, West Central CSD by Northeast Iowa Safe Routes to School. Bookmark the permalink.